Home » Coin Sets » What’s the Deal With My Buffalo Nickel With No Date? I’ve found Buffalo Nickels from time to time in my change or from coin rolls, but if I had to guess, 4 out of 5 of those nickels don’t show a date. Why is this and are they still worth something? First, let’s learn a little bit about Buffalo Nickels. During the early part of the 20th century, many of the coins minted in the United States were designed by the US Mint’s Chief Engraver, Charles Barber. Barber designed the Liberty Nickel , Barber Dime, Barber Quarter, and Barber Half Dollar. The mint stopped minting the Morgan Dollar in 1904. So, the only non-Barber designed coin in 1912 was the Lincoln Cent. While Theodore Roosevelt was President of the United States from 1901 – 1909, one of the things he was looking at was changing the designs of US coins. The first non-gold coin to see this was the one cent coin. After 50 years of the Indian Cent, the Lincoln Cent was introduced in 1909. With the Barber Dime, Quarter and Half Dollar beginning in 1892, they could not be changed without an Act of Congress until 1916, their 25th year. This left the nickel. By 1912, the Liberty Nickel was in its 30th year putting it 5 years past asking Congress for a change. This would give President William Howard Taft’s administration the opportunity to change the nickel design. Barber was initially asked to design a new nickel around the time that the Lincoln Cent was first minted. He designed a pattern that would had put George Washington on the obverse. This was going to happen until Mint Director Frank Leach left in November, 1909, making Abram Andrew the new Director. Andrew did not like the new Lincoln Cent design and wanted to get Congressional approval to change it, and it hadn’t even been out a year. He had seen a design by sculptor James Earle Fraser. Fortunately, Abe’s face remained on the penny and Fraser was asked to design a new nickel instead. By December, 1912, Fraser’s new design with a profile of an American Indian on the obverse and an American Bison on the reverse was approved. There was opposition from the Hobbs Manufacturing Company from Worcester, MA who created the device inside vending machines to determine whether the coin put in the slot is real or counterfeit. Of course, they had issues with the new nickels and wanted changes made before it was minted. This would go all the way to President Taft himself. Taft would only be in office for 2 more weeks and did not want to stop the new nickel from being minted. 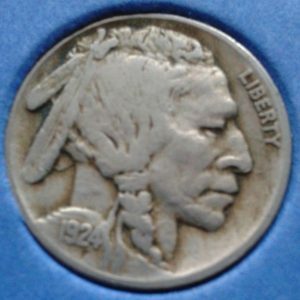 So, on February 18, 1913, the first Indian Head Nickels were minted and the first forty would be distributed on February 22nd at the National American Indian Memorial in Staten Island, NY to Native American chiefs. The Indian Head Nickel, more popularly known as the Buffalo Nickel , was finally released in circulation on March 4, 1913, the same day as the inauguration of President Woodrow Wilson. 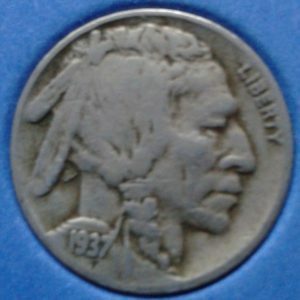 Chief Engraver Barber noticed that there many more dies being used for the new Buffalo Nickel than the previous Liberty Nickel. He proposed changes, the biggest revision being changing the mound that the buffalo stood on to just a line showing flat ground. The nickels with the mound would be known as Type I and the line as Type II. It was also noticed that date and denomination wore quickly. “FIVE CENTS” would be enlarged and the numbers on the year would be thickened, but were still getting worn down. There was never a permanent solution that would help keep the date displayed in circulation. This would be one of the reasons that 1938 would be the last year of the Buffalo Nickel. The 1926-S is not only the lowest minted Buffalo Nickel at 970,000, but is also the only Buffalo Nickel to have a mintage under one million. Based on the 2018 Red Book, the value of this Buffalo Nickel starts at $25 in Good Condition, $375 in Very Fine, $900 in Extra Fine, and if you’re looking for a Mint State (Uncirculated) piece, don’t plan on paying less than $4,000. Other key dates include the 1921-S, 1924-S and 1931-S, but if you’re looking for the most valuable circulated Buffalo Nickel, that would be the 1913-S Type II ranging from $340 in Good Condition to $750 in Almost Uncirculated Condition. A popular error coin is the 1937-D 3 legged Buffalo Nickel. One of the front legs on the buffalo is missing making it valuable, starting at $550 in Good Condition. It is sad because I think this was a great design, but details on the coin would wear down quickly, That’s why most of the Buffalo Nickels I’ll find today have no dates. Without a date, it is only worth five cents. I still like Buffalo Nickels . Would you consider collecting them? I really don’t know anything about old coins but that Buffalo Nickle looks old. In the years that it has been handled it must have seen a lot of hands and cash registers. Your website looks like you have done a lot of research on your niche. I like the way it is set up. Very informative. 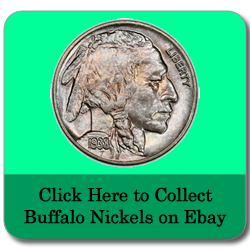 I don’t know much about Buffalo Nickles or collecting old coins but your site looks pretty informative. It looks like that Buffalo Nickle has passed through a lot of hands and cash registers. Not that it isn’t interesting and well put together in content but when it comes to coin collecting I’m in left field. Thanks for the comment RJ! It’s too bad because I liked the design of the Buffalo Nickel, but the details wore quicker than other coins. I bet the mint was happy when they stopped minting Buffalo Nickels and started with Jefferson Nickels. Coin collecting can be interesting just like any other hobby. You can learn history through coins and have fun collecting a whole set of a coin that you like. Maybe someday, you’ll be interested to check it out. You would have thought they would had made the date bigger or wider, but the Buffalo Nickel was doomed from the beginning. The dateless nickel at the top of the article is one of the nickels I found in change. Not very often do I found one with a date. Too bad! Wow, some great information on the Buffalo Nickel here! I like how the buffalo nickel looks, definitely one of my favorites! Most of the ones I’ve seen have been pretty worn down. Guess they are all worth 5 cents if not less. Was there a reason the 1926 minting is lower then others? Thanks for the comment! I like the Buffalo Nickel’s design too. I’m not sure why there were there was a low mintage in 1926 since the country was prosperous at that time. You would had thought there would had been less 1931-S nickels than 1926-S. Actually the Lincoln Cent and Mercury Dime also had low mintages that year from San Francisco. Maybe it was because San Francisco was looking to make more Peace Dollars as Philadelphia and Denver combined minted less of them that year. The website is very informative concerning coin collections and very well put together. I think in my opinion that other individuals that are interested in coin collecting would find your site very helpful. I know very little about coin collecting but I find your site very interesting. Your Buffalo Nickle seems to be very well handled and worn out from people handling it all these years.